Nowadays there are many types of showers available. In this article we are going to concentrate on the 6 main types of showers available in Ireland today. When carrying out bathroom renovations we assist the client with all the relevant information to help them make the correct choice of shower that will suit all of their needs. Here we will outline the advantages and disadvantages and look at the specifications versus the cost. 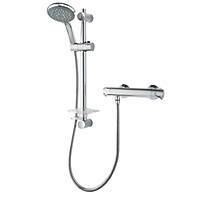 Theses types of showers are by far the most commonly bought in the current age. The advantages, there cheap to buy and install compared to some other types. You can buy them anywhere, Triton being the most popular make. With an electric shower you will never run out of hot water. This is because it draws from the cold water supply, then heats the water and pumps it out. The temperature of the water also won’t be affected if someone else in the house turns on hot taps as can happen with other types of shower. These types of shower are also very Eco-friendly, in fact over 99.5% efficient. This is because you only use the water that you need rather than heating a whole tank. As the cold water supply is usually higher pressure than the hot this means you get better pressure when showering. If you have problems with your boiler or central heating you can still have a shower as it is totally independent. On the downside, especially if you have hard water it can be very detrimental to an electric shower. If you think how your kettle element builds up with limescale, the same is happening with your shower element. This build up can stop the element heating the water properly. Other types of showers, a mixer shower for example will give far better water pressure as the water flow rate will be much higher. It is more expensive to heat water with electricity than gas. You will need an electrician to install it rather than a plumber (we have both). These types of showers are relatively new to market and still considered state of the art and use an electronic control panel to control the showers water flow pressure and the temperature. You can choose where the control panel goes, it can be as far as 10 meters away. You set the temperature on the control panel and the LED display shows you when the water has reached the temperature. You have options as digital showers come in mixer or electric varieties. These types of showers give you the option to switch between digital bath fill and shower head depending on your requirements. you can choose where the hot water feed comes from, it can be the wall or ceiling. On the negative side they are very expensive, the basic model starting off at €700 – €800 + V.A.T. and exceeding €1,000 for many models. They require a power unit, this is usually installed in an attic or hot press. They are more expensive to install as you will require an electrician and a plumber (we have both). A mixer shower does what the name suggests. 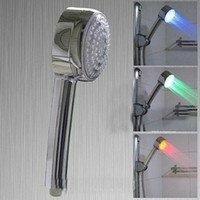 It draws cold and hot water, mixing them and then and pushes it through through the shower head. As a rule the water pressure is much better than an electric shower for example. Mixer showers are very user friendly in that you can easily control the temperature. They are modern in design and there is no need for a big plastic box on your wall. A plumber will be required for installation. On the negative side mixer showers are only suitable for 2 types of heating system (can’t be used with an immersion). The 2 types of heating system they are compatible with are a low pressure gravity fed system. This is where you have a hot water cylinder in a press and a cold water tank in the attic. Another possible disadvantage is with a low pressure system a pump may have to be fitted (an additional cost) to improve the flow rate. they can also be used on a combi-boiler system. You will find them dearer to buy and that cost can increases if a pump is needed. 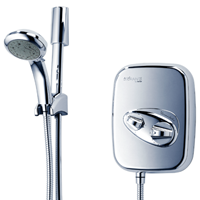 There are different types of mixer shower such as concentric, dual control, sequential and single lever. If you are buying yourself do your research to make sure you are buying the correct one. 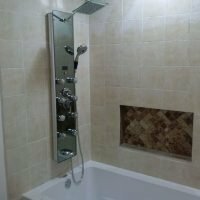 If you are not sure ask one of out bathroom renovations team for advice. 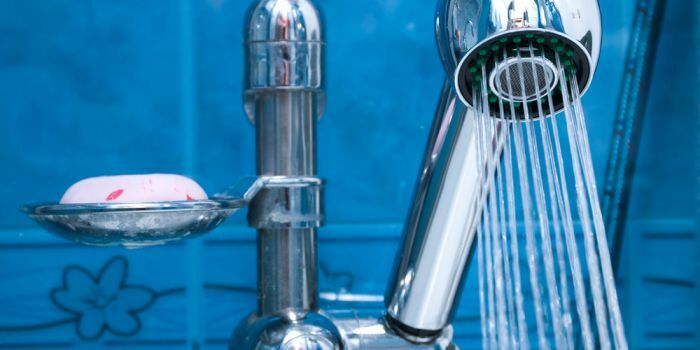 These types of showers are undoubtedly as good as any shower when it comes to water pressure. This is because the come with a pump built in. They are ideal for Bungalows for example which can often have low water pressure. The pump draws the water from the cold and hot water supply feed then pumps it at high pressure through the shower head. 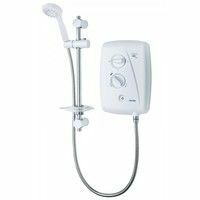 If you currently have an electric shower it is possible to convert it to a power shower by adding a pump but this can be awkward and time consuming as well as an extra expense. Our advice would be if you wanted a power shower to just have it fully fitted in one go. These types of showers have a couple of disadvantages, the first being they can be fitted if you have a combi-boiler system. The second is the cost. The pump is an additional cost and will wear out over time. They aren’t Eco-friendly and because of this will cost approximately twice the amount to operate as an electric shower. Another relatively new addition to the market are shower panels or shower towers are mounted to the wall of your bath or shower cubicle. They are pretty straight forward to fit as there isn’t a need to remodel your bathroom or take any tiles off. Shower panels provide a modern, new age type of look and because of the different control settingst you can have the water aerated. This means you can get a spa like experience if you choose the body mist setting you also have the options for a hand held spray or regular shower head. On the downside they are not the cheapest unit to purchase and although quite easy to install you do require a high pressure water system. This will normally require a pump to be fitted which again will increase the cost quite a bit. These types of showers have been designed to concentrate on water conservation. They save water in two ways firstly they aerate the water then they pump it through a specially designed low flow shower head. 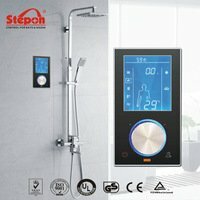 The user will get the same water pressure so the shower experience itself will remain normal. It was probably more relevant when water charges were being brought in. The alternative is that you can buy the special low flow heads separately and some can save as much as two-thirds of your water usage and the related costs.